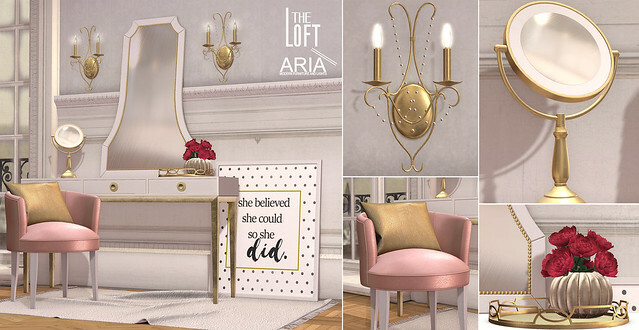 Taking a throw back to the 1950’s for this months round of Collabor88 The Loft and Aria have created a trendy mid-century modern living set full of bright vintage linens and textiles. Mid-century furniture pieces are characterized by their clean, simple lines, and there is no exception to that with the Harmon Living set. Bold textiles, teak woods, and timeless style give a nod to the period, while still being perfect for contemporary decor today. The rounded edges and smooth linen fabric of the Harmon sofa capture mid-century modern style perfectly. The sofa is available in 8 different colours sold separately with colour change options for the throw pillows. Also available is the rattan ottoman, and floor lamp each available in 3 colour variations, as well as a table lamps with 5 options to choose from. 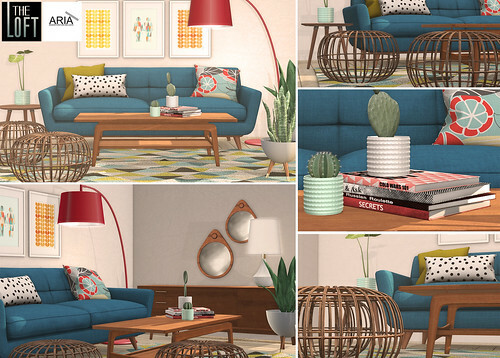 A coffee table, side table and credenza complete the furnishings. 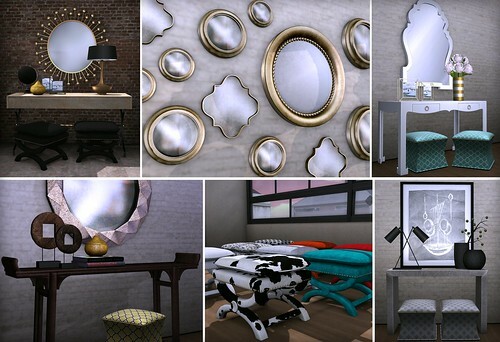 Decor pieces include a rug with texture change options, wall art, mirrors, potted plants, table top succulents, and decorative books. 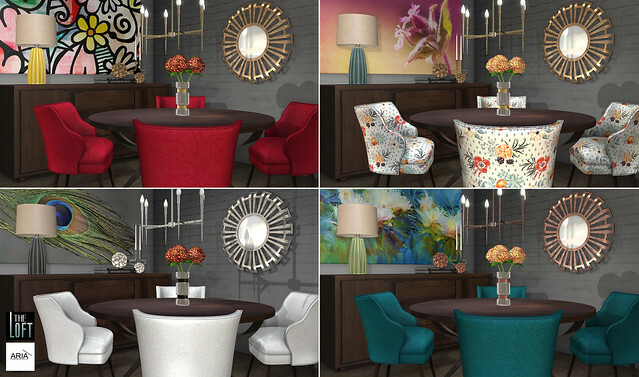 The Harmon sofa comes in PG and ADULT options, and the ottoman has singles poses, each with auto rezzing and wearable props.